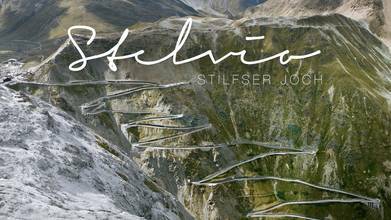 Description: TOP Gear defines Italy's Stelvio Pass:: "One of the World's greatest roads". The Stelvio Pass (Italian: Passo dello Stelvio) is a mountain pass in northern Italy, at an elevation of 2,757 m (9,045 ft) above sea level. It is the highest paved mountain pass in the Eastern Alps, and the second highest in the Alps. The original road was built in 1820–25 by the Austrian Empire to connect the former Austrian province of Lombardy with the rest of Austria, covering a climb of 1,871 m (6,138 ft) The engineer and project manager was Carlo Donegani (1775–1845). Since then, the route has changed very little. Its seventy-five hairpin turns, 48 of them on the northern side numbered with stones, are a challenge to motorists. Stirling Moss went off the road here during a vintage car event in the 1990s, with an onboard video of his incident being shown on satellite TV. Before the end of World War I, it formed the border between the Austro-Hungarian Empire and the Italian Kingdom. The Swiss had an outpost and a hotel (which was destroyed) on the Dreisprachenspitze (literally, Three-Language-Peak). During World War I, fierce battles were fought in the ice and snow of the area, with gun fire even crossing the Swiss area at times. The three nations made an agreement not to fire over Swiss territory, which jutted out in between Austria (to the north) and Italy (to the south). Instead they could fire down the pass, as Swiss territory was up and around the peak. After 1919, with the expansion of Italy, the pass lost its strategic importance.